It’s time for business. However, that doesn’t always mean dry talk in fusty meeting rooms. As a matter of fact, a simple meeting with a potential backer quite often isn’t enough to secure your funding. 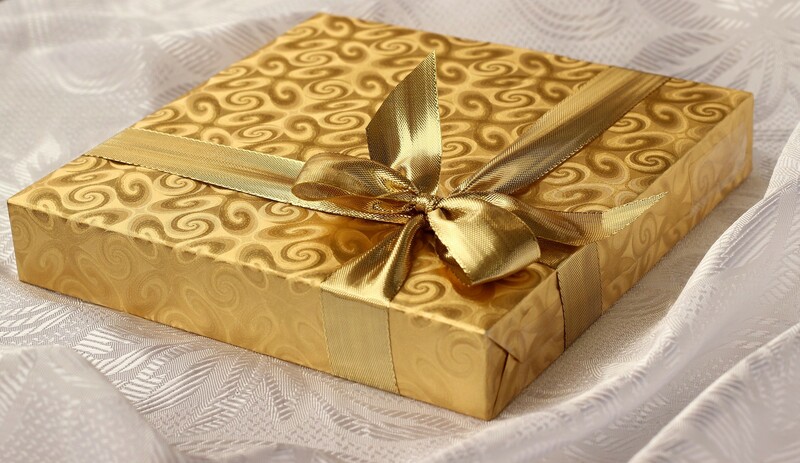 To that end, have you considered some extras, including luxury gifts? Or perhaps you’ll be wining and dining your client like they’re a 17th century sultan. Other times might show them the sights and sounds of your city. You could even cook them a meal with your family, stroking their voracious ego with the kind of sweet talk usually reserved for a first date. But if you want to make a good impression pronto, there’s only one way to go. May we recommend one sure-fire route to anyone’s heart? That is, give them one of these luxury gifts. Picture the scene. There’s a beautifully wrapped present awaiting your prospective backer as they walk into your office. Perhaps it’s even held aloft by an employee smiling widely in welcome. Sound good? Then take a look at these ace luxury gifts that will woo any potential funding partner for your business. If so, then we have something to tell you: You’re a wine snob. But don’t ditch your glass of Merlot or give the slip to your Cabernet. Wine—whether it’s a meaty red, a dry white, or a summery rosé—is the perfect gift for a first encounter with a client. Much like whisky, wine conveys a panache that’s lacking with other alcohols such as beer or spirits. Therefore, many a client will be happy to accept it. There are plenty of places online where you’ll find a good quality wine. However, our recommendation is La Vino for its high quality and affordability. The inhabitants of Earth consume more than 400 billion cups of coffee globally every year. Imagine the heart palpitations you’d get from a dose like that! For many, a large cup of joe is the only way to kick start the working day. For others, it’s the ideal digestif after a hearty meal. As a matter of fact, why wouldn’t the perfect ground coffee be an excellent luxury gift for your next potential business partner? Whether it’s a fine cup of Colombian or a Blue Mountain Blend, everyone in the meeting will be impressed with your selection. Pair this gift with a cafetiere or, if you want to be really fancy, a coffee machine. You’re bound to look like the caffeine know-it-all of your office. Again, you will easily find a shop online that supplies coffee. But for a special kick, you can’t go wrong with Origin. We all like to feel important. And if you’re a high roller, the adrenaline jolt of being top of the pile is hard to beat. To replicate that feeling, purchase a VIP experience for your prospective backer. It could be an all-expenses-paid evening in a swanky nightclub. Or make it a day of clay pigeon shooting. Either way, make sure the experience you offer is a lot of fun. Red Letter Days offers amazing experiences that won’t break the bank. What Other Luxury Gifts Can You Think Of? This is our list, but it’s only a beginning. Use it as a jumping-off point to come up with more creative ideas for other luxury gifts on your own.